The anchoring marks a milestone because it is the first Keepstar anchored by a Japanese group. Its presence in Branch provides a safe harbor for operations in the region. However, it is unlikely to influence ongoing fighting in Deklein. Circle-Of-Two has been re-established, prompting some corporations and members to leave GOTG and return to their newly resurrected former alliance. However, the effect of this should not be overstated. Dscan.me shows that this has reduced the population by about 300 players over the last month. Nevertheless, many of these players were active PVPers. GOTG will miss them. For some time now, GOTG has been under attack from Black Ops and Reavers – two expeditionary warfare groups from Goonswarm. Now, one of Goonswarm’s premier forces, Space Violence, is moving north. They have around 500 members and, crucially, can fight in EUTZ. This addition of forces shows that Goonswarm is committed to the ongoing conflict. GOTG pilots have responded by welcoming the additional content. However, there are concerns over the economic impact of such a deployment. The north has not been idle. 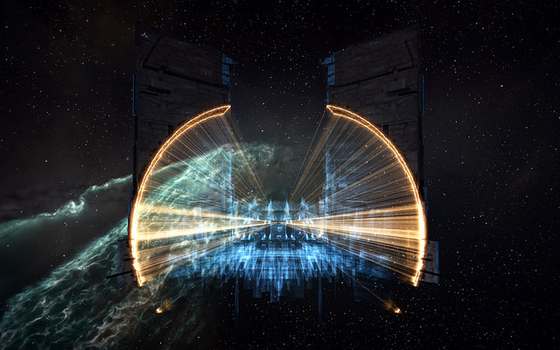 Facing renewed pressure from Goonswarm, RiotRick, alliance executor for GOTG alliance Solyaris Chtonium, secured additional funding for Bee Control, a New Eden-wide asymmetric warfare outfit targeting GSF. In the past few days, they have inflicted at least 42bn ISK in damage. Their deployment has prompted The Mittani to declare a hell-camp of PR-. However, Bee Control has not been deterred and continues to strike. Amid much smug from Goonswarm, the March monthly economic report has hit. It has shown the predictable bounty in Delve. However, it has also displayed a decrease in Deklein. BBTB2, a GSF Skymarshal, has laid it out in this post. Though his post is heavily agenda driven and readers should take a grain of salt with the information, it does show a significant and negative economic impact brought on by Goonswarm action. However, we have seen an increase in both ratting and mining in Branch over the past month. Therefore, while GSF is successful in economic displacement, it is not successful in economic destruction.